Everyday is a opportunity to learn something new! In Sweden Arena, during the Olympic Games in PyeongChang 2018 we gave our visitors the chance to try some of the popular sports on the Olympic Agenda. You could try your aim in biathlon, your endurance in ski poling or get some expert advice on speed skating from one of our Olympians present in the house. Some nights we opened up the house and invited friends and fans of Sweden to participate in karaoke-nights, table hockey tournaments, Olympic Quiz nights, lecturers and meet-and-greets. 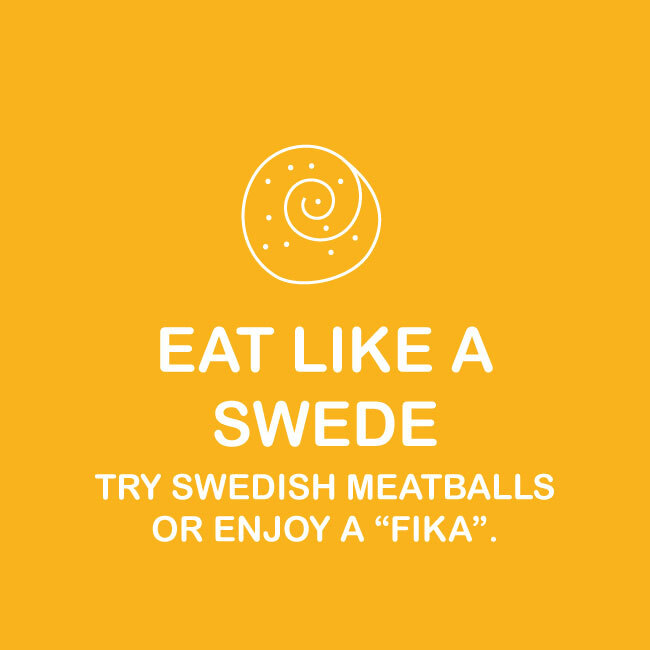 Try a taste of Sweden! In Sweden Arena we served Swedish meatballs in our outdoor food service together with warm and cold beverages. Of course you could also try a traditional Swedish “fika”. Fika is a concept in Swedish culture with the basic meaning "to have coffee" or often just "taking a break from work". In Sweden Arena you could try the classic Swedish cinnamon roll, our assortment of Swedish chocolate or "princess cake" to go with your choice of beverage and sit back and enjoy the scenery as well as the Olympic broadcasts on our outdoor screens. In our shop you could will find pins, hand warmers, coffee mugs, flags, hockey shirts and items from the official H&M Olympic Collection. In our Fan Zone you could paint your face in support of the team.